Langkawi has turned into one of the popular tropical holiday destinations in the World. It is surrounded by the main island of Pulau Langkawi and several offshore islets which would surely catch their interest. Some of the famous tourists’ attractions in Langkawi are Pulau Payar Marine Park, Pulau Dayang bunting, Pulau Beras Basah, Pulau Singa Besar, and Al-Hana Mosque, etc. Below mentioned is a short list of tourist attractions in Langkawi. It is almost impossible to cover all the beautiful tourist attractions in Langkawi in just one article. Located above Mount Mat Cinchang at the end of the cable car ride. This is definitely one of the highlights of Langkawi. These 410 feet long curved pedestrian bridge is located 2,300 feet above sea level offers some of the most stunning views from the top, totally worth capturing. You can start your journey at the Oriental village in the upper northwest portion of Langkawi. You can definitely feel the chill as you travel across in the cable car. Do wear warm clothes as the wind is chilly and powerful during the entire journey. 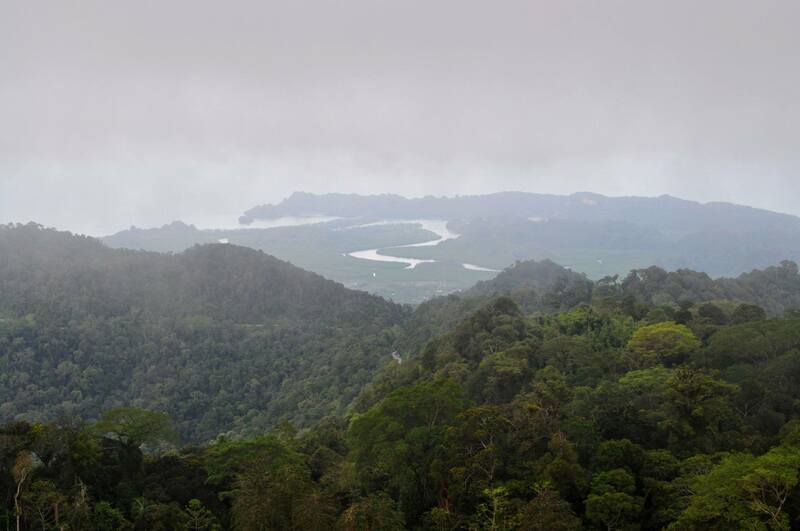 Experience the amazing Telaga Tujuh waterfalls and the virgin rainforest from the second-highest peak on top of Langkawi. There are several stalls lined up at the final station – the Sky Bridge. These stalls have an amazing collection of souvenirs, snacks, and drinks, toys, etc. There would be narrow stairs which divide the forest for you into two halves which act as an observatory deck. The birds-eye view of the entire forest is amazing to watch. we recommend you to visit this place definitely if you are in Langkawi. One of the most interesting places in Langkawi which are surely going to give you several memories to cherish. If you focus your lenses, then you can surely view the beautiful Tarutao Island in Thailand. 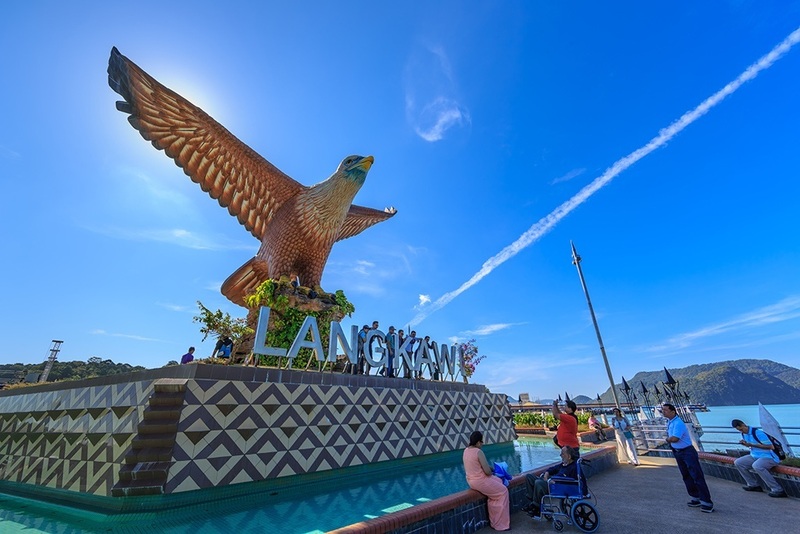 The locals refer it as the Eagle Square; Dataran Lang is one of the famous tourist attractions in Langkawi. Standing as a large reddish brown sculpture of an eagle which is poised to take flight. It was initially built as an emblem of the island. The name of Langkawi was derived from two Malay words – heland which means eagle and kawi which means reddish brown. This man-made structure stands 12 meters tall and is one of the most recognizable monuments. It is located on the southeast corner of Pulau Langkawi. Enjoy the beautiful views of Kuah Bay. It is home to some amazing miniature fountains, bridges, and terraces which are surely going to give you several click moments. A trip early morning or close to sunset is the best time to visit the island. 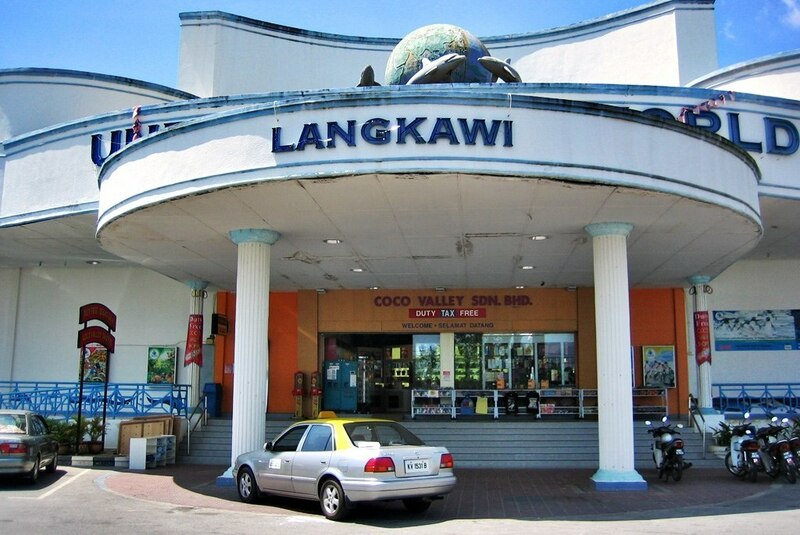 After enjoying the mesmerizing scenery, you can shop in some of the best duty-free shops in Langkawi which are at a walking distance from the sculpture. Do check out the Jetty Point Mall, you are sure to get a great collection of alcohol and chocolates. 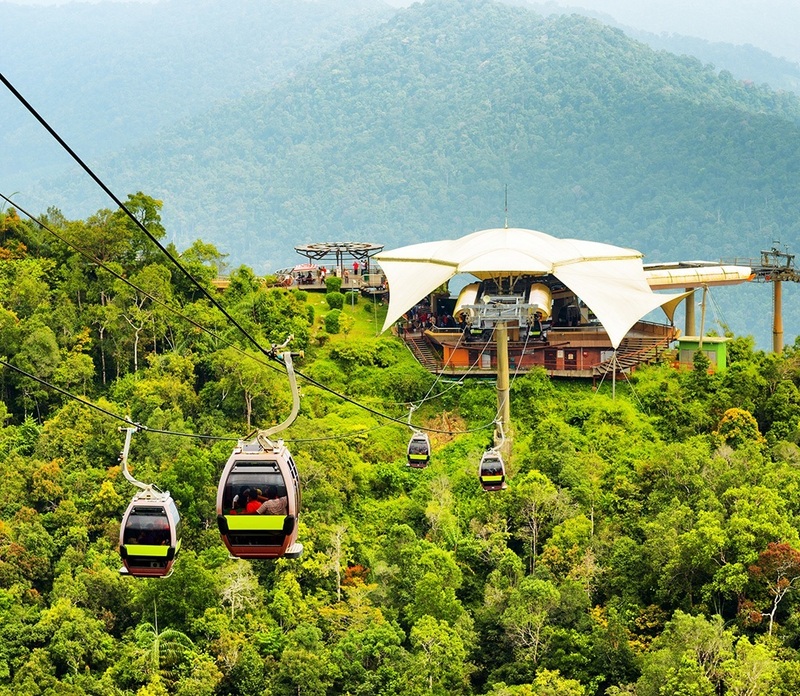 The cable car is one of the popular Langkawi attractions. The journey in the cable car starts through the village and passes through the pleasant oriental garden and souvenir shops, where the visitors are expected to make a payment at the counter before stepping onto an escalator which takes them to the cable car platform. Once the cable car sets off, you will surely feel the chilly winds lowering the temperature. Do carry warm clothes to keep off the chill. At the first station which is approximately around 600 meters from the start, you can check out the observatory deck or head to catch the cable car up to the peak. As the car catches a decent speed after an initial thrust at the second station – it can be a bit nervy so hold on tight to something, you will experience mesmerizing bird’s eye view from the top. There is a line of stalls at the final station where you will be greeted by an amazing collection of souvenirs, snacks and drinks, and toys, etc. The view from the top is mind-blowing; it surely sweeps you off your feet. You may have never seen such a beautiful sight before. After immersing in the incredible views from the top, you will have to start your journey back to the bottom. One of the popular Langkawi attractions which are spread over a massive area of six acres. Located at the southern end of Pantai Cenang, beside the Zon duty-free shopping center. This is the largest aquarium in Malaysia. It is home to more than 200 different species of freshwater fish and marine life including rockhopper penguins, sharks, harbor seals, giant rays and the gigantic Amazonian arapaima – the largest freshwater fish in the world. The interiors are totally air-conditioned and at your first glance itself at the entrance itself, you can locate the Amazonian arapaima in a medium size tank. The entire complex can be divided into three sections namely Temperate, Sub-Antarctic, and Tropical Rainforest. The Sub-Antarctic is easily the most popular section among all three mainly due to the penguinarium houses black-footed penguins and tiny rockhoppers which will surely catch your attention. 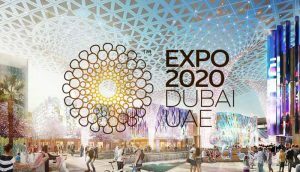 Apart from this, there is an educational resource center, a cafeteria and a 3D theater which you can catch a short movie about the character Michael – a prehistoric fish which describes his life before turning into a fossil. As you near the exit, you are sure to pass through a six million litre underwater tunnel tank which has a great collection of fish including giant stingrays, green turtles, and sharks. Often termed as the highest mountain in Langkawi, the Gunung Raya stands tall at 881 meters and houses several dense virgin forests with numerous wildlife such as the flying foxes, macaque monkeys, leaf monkeys, mountain hawk eagles, squirrels, white-bellied sea eagles, and great hornbills. If you dig deep into the history of the Mountain, it is said that the mountain is a cursed for of a giant known as Mat Raya who was once residing on the island. There is a 30-minute long scenic drive to the peak of Gunung Raya where you will find several click moments along your journey. The top is a gigantic granite formation which gives you an incredible view of the flourishing surroundings, the Andaman Sea, and the neighboring islets. You will also find a small park, a satellite control tower, museum, and the famous D’Coconut Hill Resort Langkawi – a perfect holiday destination which offers some great memorable moments. This eight storey tower has a spa center in the resort where you can relax and chill out. 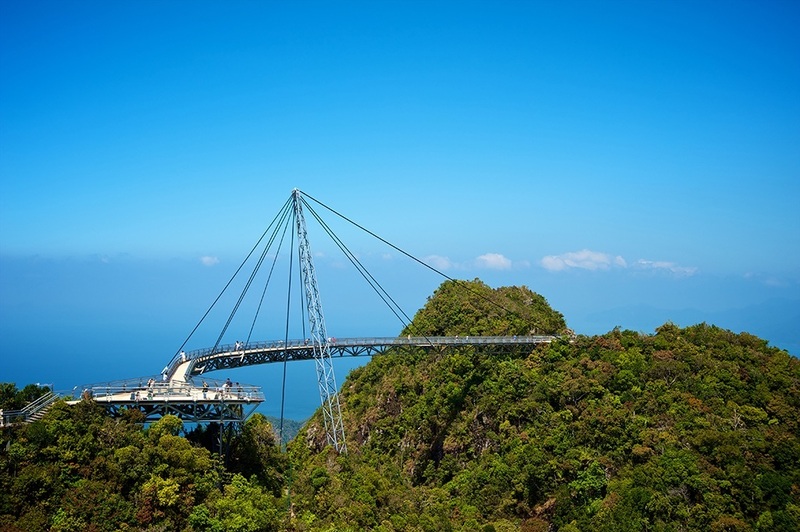 At a nominal fee of RM 10, you can enjoy some amazing views of Langkawi from the top. Grab a quick bit from the Viet Lang Restaurant; there are some amazing mouth-watering Vietnamese delicacies or Italian fare at La Torre in the resort itself. Apart from this, the mountain is great for trekking lovers or experienced hikers. November to March is the best time for trekking activities as the skies are almost clear with little or no rainfall. One of the most amazing Langkawi attractions which are spread along a five-acre area along Jalan Ayer Hangat. It was officially launched in 2002 and it houses close to 2,500 exotic from 150 species of birds such as the owl, eagles, toucans, hornbills, canaries, and flamingos. There is also a walk-in aviary which contains a 15m man-made waterfall. Located near the foothills of Gunung Raya, it is a 10-minute drive from Kuah. 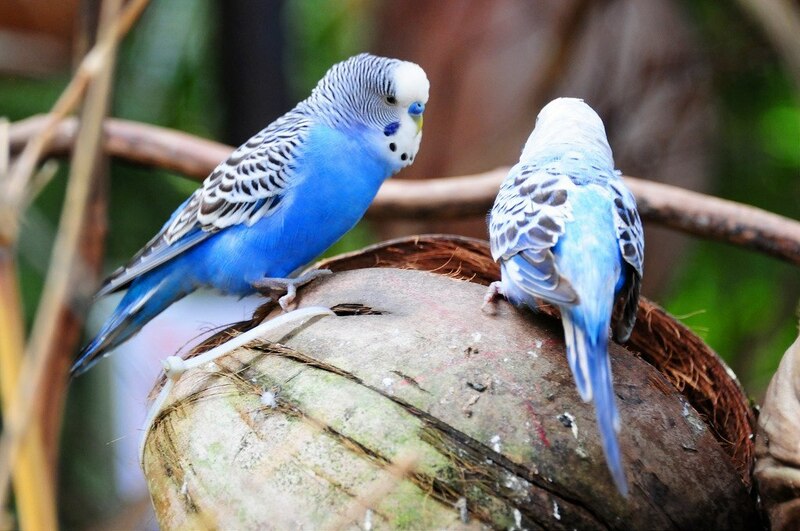 The aviary is one of the popular tourist attractions in Langkawi, especially during rainy days. Popularly known as the Taman Burung Langkawi or the Langkawi Wildlife Park. This 10,000 sqm complex has over 1,500 birds which flow in and out from the sections which resemble the natural habitats of the different species of birdlife. It is in fact the first fully covered wildlife park in Asia. There are several souvenir selling stores within the complex itself, where you get a good collection of rare crafted and raw crystal ornaments from China and Brazil. 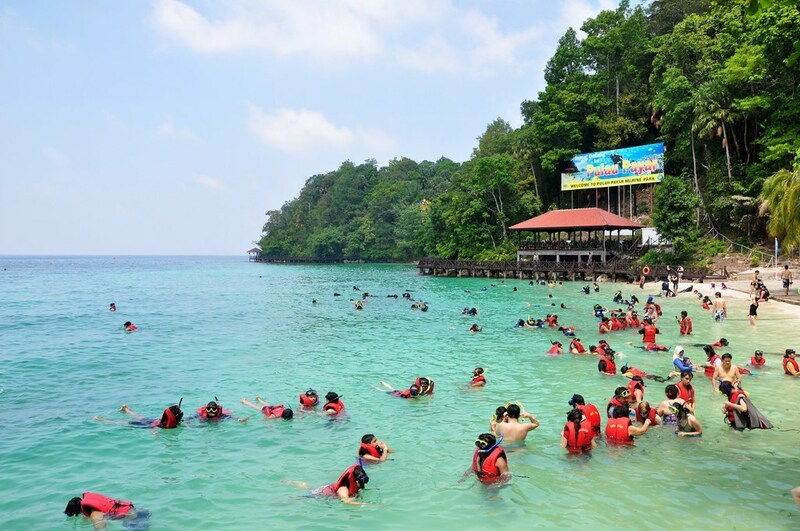 One of the popular tourist attractions in Langkawi for snorkeling and diving lovers who are keen on exploring the amazing Langkawi undersea action. Located at a distance of only 30km south from the main island. It is about a 45 minute catamaran or speedboat drive from Kuah jetty point. It is spread across two nautical miles and comprises of four islands – Pulau Kaca, Pulau Segantang and Pulau Lembu form the three smaller isles and Pulau Payar forms the largest of the four islands. The islands are regulated by the Fisheries Department and Kedah for preservation and inhabitants are not permitted on the island. One of the key highlights is the Coral Garden which has some beautiful collection of preserved and protected corals thanks to the sheltered waters. Individual explorers need to take prior permission before venturing into these waters or you can join a tour exploration group. There is an extensive array of facilities to cater to all tourists requirements ranging from restrooms, gazebos, barbecue pits, picnic tables which are set at strategic location points around the park.